Some kids are simply focusing on one sport. But Dr. Julian Bailes, Pop Warner’s chief medical officer, told ESPN that head injuries and their link to mental illness later in life have caused the popularity of all contact sports to suffer. The recent suicides of former Chicago Bears defensive back Dave Duerson and San Diego Chargers linebacker Junior Seau, both of which were tied to brain trauma, have placed safety in the spotlight. 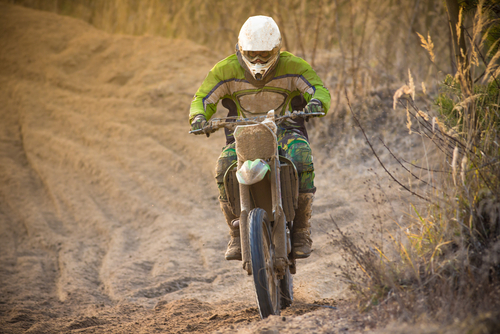 Whether your favorite sport is motocross, NASCAR, hockey, or football, understanding how helmet technology and other safety equipment works can provide a different perspective for die-hard fans. Bret Bielema, the head coach of the Arkansas Razorbacks football program, announced in March that his team would be using the new Riddell SpeedFlex Helmet for the 2014 season. Colorado, Florida State, Iowa State, Texas, and several other major programs followed suit soon thereafter. A study published in the Journal of Neurosurgery this past January found that concussion risks could be significantly reduced by using helmets specifically designed to mitigate head acceleration upon impact. The Speedflex features a compressible cutout panel in the helmet’s crown, which lowers impact force. The energy management system built into the helmet is designed to absorb big hits and reduce the chance of head trauma. The built-in Insite software uses the Head Impact Telemetry System (HITS) developed by Virginia Tech University in 2002. The sensors in the helmet will alert the coaching staff if any hit measures outside of a predetermined safe zone. InSite is also relatively cheap, costing about $13,000 for an 85-man roster. Motocross riders are always shopping for the perfect motorcycle helmet that balances safety and comfort. While most helmet are built with inner foam stiff enough to protect riders during high-impact collisions, they are too stiff to absorb the energy from the lesser crashes that are most responsible for concussions. That is until the 6D ATR-1 was invented. The designers simply added a second layer of foam inside the helmet separated by elastomer dampers. The tandem not only absorbs the energy of direct blows, but can also rotate to protect the brain during minor falls and wipe outs. Motorcross Action magazine had given a five-star safety rating to only two helmets in 20 years before adding the 6D ATR-1 to the list last year. The 6D ATR-1 is a little pricey at $750, but that’s far less than the lifetime of doctor visits for severe head trauma. Hockey players, particularly in the NHL, are checked into the glass, slip on the ice, and even get into a fight at some point during every game. Bauer has combined its own technology with that of G-Form LLC to create a helmet that provides unprecedented protection in all of the above situations. The RE-AKT 100 uses Suspend-Tech 2 inner lining, along with G-Form’s FleXorb technology, to absorb the energy from impact at all angles. It has the ability to compress or stretch in different situations based on the direction and degree of impact. Kevin Davis, the CEO of Bauer Performance Sports, told Hockey World Blog that FlexOrb is the latest and best technology to protect against concussions without sacrificing comfort. The $300 price tag is well worth it in exchange for peace of mind on the ice. Sports Techie, I have received and given concussion type blows so believe me when I say, my 13-month old baby son will benefit from advanced helmet safety and so will the Sports Techie community blog readers and friends because of the emphasis I have placed over the past four years of learning more about this topic for all of us to be more aware. One of my very first blogs written in Seattle in 2010 was about Schutt Sports, concussions and helmet tech, you can read more about in the concussion link in the sentence above. One week later, I wrote about the new Easton-Bell Sports S-19 Z-Shock helmet used in the NHL, college and youth hockey. In 2013, I featured the new Schutt Sports and D30 partnership to create a new, upgraded women’s softball helmet. Finally, as an iQ by Intel contributor, I had the privilege to drill down on cutting-edge football helmet sensor technology by Riddell, Schutt Sports and Xenith. 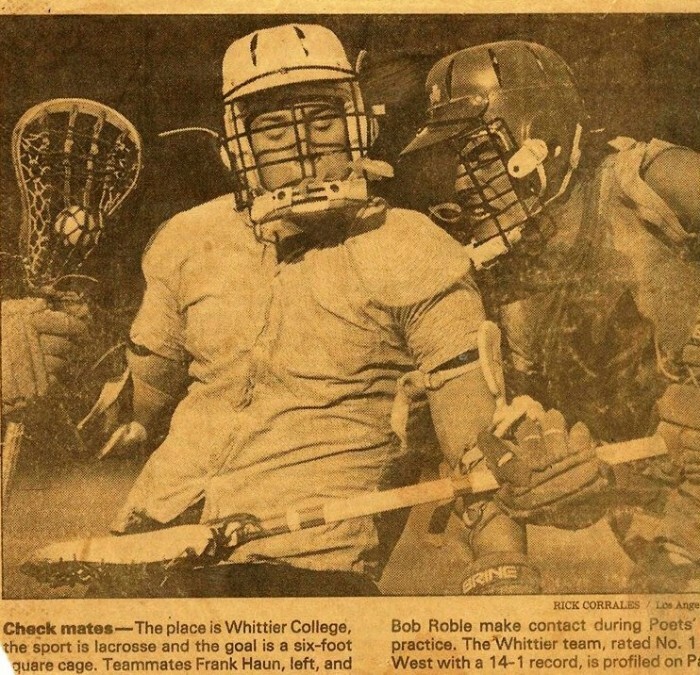 and the accompanying blog about their Raptor helmet was exciting for me to share with fellow players, coaches and parents, plus interested fans and the global Sports Techie community, since it was the beginning of a new era of lax helmets. The helmet was latter recalled and the company dissolved. Other lacrosse helmet manufacturing companies have been launched since then with many featured during the recently concluded World Lax games won by Team Canada this past weekend in Denver. The new worldwide emphasis on adding technological, scientific and medical research to helmet safety are massive steps in the right direction. Whether you or your child plays football, motocross or hockey, the old days when a coach told his or her players to run through a wall or athletes jumped two, three or four-wheelers without thinking about helmet safety, should be well behind us with a brighter future ahead. Be smart and learn more about protocol for concussions from the CDC – Heads Up: Concussion in Sports info and tool kits. Bottom line, always wear a helmet or head protection whether you are riding a bike, skateboarding or playing soccer because the results that occur without it are bad for both your short-term and long-term cognitive health. Play sports and have fun but please, always wear a helmet for needed safety so Mom, Dad and coach will let you play ball or ride on.